I love my Italian wine for its broad variety and I am always looking forward to attending the annual Gambero Rosso’s Top Italian Wines Roadshow in Singapore. 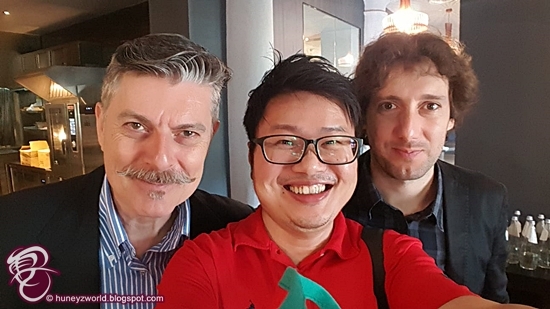 This year, with about 300 wines from over 70 Italian wine producers to be appreciated at CHIJMES Hall, including the valuable Masterclasses hosted by Mr Marco Sabellico, who is also Gambero Rosso’s wine expert, it is no wonder I got tipsy by midday that day! A list of Italian wines selected for one of the three (3) Masterclasses conducted. 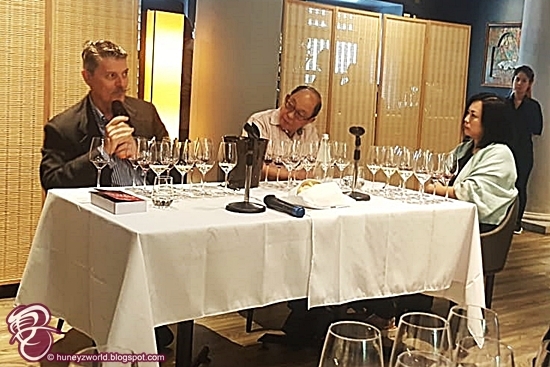 The one-day roadshow held on 22nd May 2018 was opened by the Ambassador of Italy to Singapore, H. E. Raffaele Langella, together with Mr Marco Sabellico, the Senior Editor-in-Chief of Vini d’Italia; and Mr Lorenzo Ruggeri, Editor of Gambero Rosso Top Italian Restaurants in the World. What is a Italian Wines Roadshow without Amarone?! 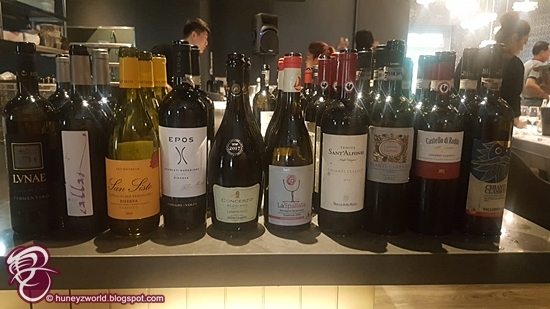 Entering Gambero Rosso’s Top Italian Wines Roadshow at CHIJMES Hall was like stepping into the history lesson of the nation's wine-making journal, which dates back many centuries, and has been producing a wide array of quality wines - Amarone, Barolo, Brunello, Barbaresco, Chianti, etc. - highly regarded by wine connoisseurs all over the world. Ruffino Modus is one of those blended Italian red that I really love to drink on its own. The roadshow, which was usually attended by trade visitors and wine lovers, served as an insightful expeditions for the attendee to discover the characteristics of signature wines from the participating Italian wineries while presenting an opportunity for the unrepresented participating wineries to strike a local distributionship. Carrying an empty wine glass moving from one column of tasting tables to another, I found myself quickly lost in an exquisite selection of around 300 wines for sampling as I was trying an abortive attempt to pick my favorite wine that day; there were simply too many! I finally had my welfie with Marco and Lorenzo! At the end of the day, while I walked away empty handed due to my indecisiveness as well as the thought of two cases of Ripasso and Lambrusco (purchased last year) still occupying in my packed cellar, I must admit my palate was definitely fully satisfied! Established in 2007, Gambero Rosso’s Top Italian Wines Roadshow has firmly become a strategic platform for penetrating emerging markets and grasping new business opportunities. Italian wine offerings are so rich and have a wide selection. To address this, the selections at Gambero Rosso represent a guaranteed way for promoting knowledgeable, attentive and curious developments of Italian territories. The basic framework employed comprises an extremely rigid selective criteria of quality used for decades by the Vini d’Italia guide. Now in its 31st edition, the guide is the result of a year of work by an expert team of 53 tasters who tasted 45,000 wines and interviewed wine producers at wineries across Italy, including Ticino in Switzerland for the first time this year. In this edition, 22,000 wines from 2,485 wineries were awarded scores ranging from 0 to 3 Glasses, with 436 wines receiving the highest, prestigious rating of Tre Bicchieri.